Changing your WhatsApp number is one of the major problems some people do encounter some times. Today I will teach you how to change your whatsApp number, at ease. Before proceeding, make sure that your new number is activated on your phone and that you can receive SMS messages and phone calls. 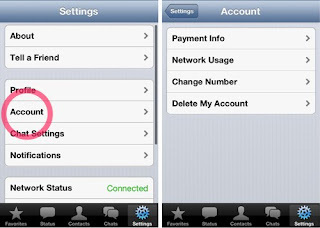 ― Delete the account associated with your old number, so your contacts will no longer see your old number in their lists of WhatsApp contacts. 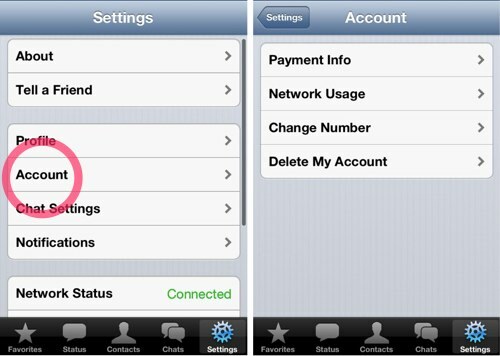 ― Migrate your account payment status, groups, profile, and chat history to the account with your new number. 1. Go to Settings >> Account >> Change Number. 3. A screen will appear asking you to enter your old number and new number. Enter your old number, i.e the one you want to change, and the new phone number you want use in the second box. Note: The first small box at the left hand side is where you will type your country code (i.e zip code, you can Google your country Zip code if you don’t know). 4. Tap Done to continue. 5. Your old number will be deleted from WhatsApp. 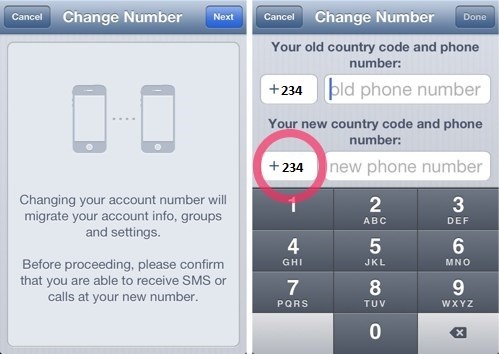 After successfully verifying your new number, your old account information will be migrated to your new number. Please make sure your WhatsApp contacts have your new phone number saved in their phone books to ensure a seamless messaging experience.